​An initial consultation will take place to discuss any questions you may have, any particular areas you may like the reiki to be focused on and to ensure that you feel comfortable to proceed with the reiki treatment. It is important to note that to gain maximum benefit from reiki, it is best to approach a reiki treatment with honesty and an open mind and to not expect that a particular experience will occur. Reiki will tailor itself to an individuals needs at a particular time, these needs may not be something you are consciously aware of or they may be different to what you expected. Even if you can't feel the reiki flowing from the practitioners hands or it feels different to what you expected, it is still being effective and helping you where you require it most at that time. During a True Balance Reiki session you will be laying down comfortably on a massage table, fully clothed and covered with a blanket. An eye pillow will be placed over your eyes and soothing music will be playing to assist you to become relaxed. Reiki is a hands on technique and a treatment will typically begin with the practitioner placing their hands on the soles of your feet, or a few centimeters away if you prefer. The practitioner will then proceed to place their hands gently on or above various areas of your body which may include, legs, arms, stomach, shoulders, forehead, side of head and top of head. Always advise your practitioner of any particular areas you may not want them to place their hands, as reiki is just as effective when used above the body. All you are required to do during your True Balance Reiki treatment is to relax and if you fall asleep that's ok, many people do. At the end of the treatment your practitioner will touch you gently on your shoulder and let you know that the session is complete, take your time to gently wake up and sit up when you are ready. It is recommended that after having a reiki treatment you should ensure you drink plenty of water, avoid caffeine, alcohol and large crowds for the rest of the day/evening, preferably spending the rest of your day/evening doing something that will allow you to really enjoy the relaxing, refreshing and balancing benefits of your True Balance Reiki treatment, going for a walk, spending time in nature, reading a book, have a relaxing bath. But if your schedule does not allow this, that's ok too, reiki will always continue to balance and provide the healing you require. 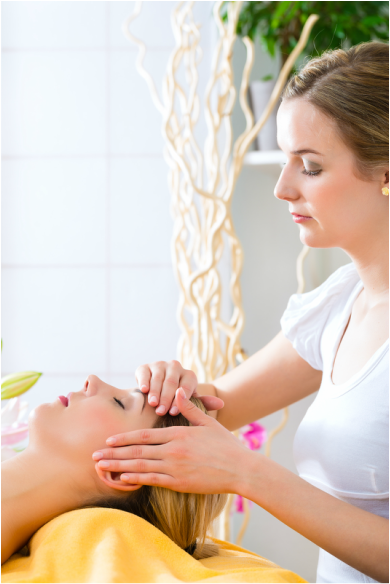 Contact True Balance Reiki to find out how reiki can benefit you or to make an appointment.